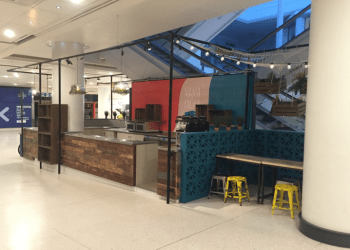 We have extensive experience in supplying, templating and installing a variety of our products within commercial and semi-commercial environments. 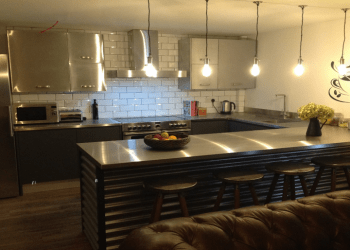 Whether you have a single room or multiples; need worktops, splashbacks, upstands, plinth, door and drawer fronts, magnetic noticeboards or the whole kitchen, we will consider any project. 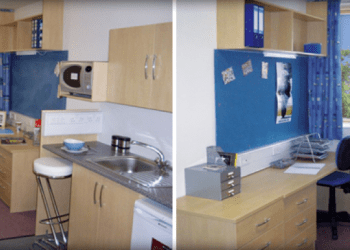 We have worked with student accommodation, new builds, renovations, care homes, commercial and semi commercial catering environments; we have clad walls and completed floor to ceiling splashbacks. 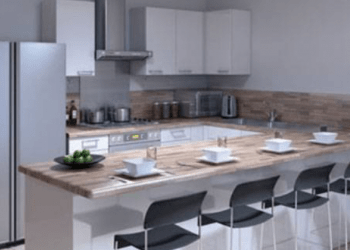 Stainless steel products, worktops in particular are perfect for student accommodation, as they are hard wearing and will last considerably longer than a standard worktop. 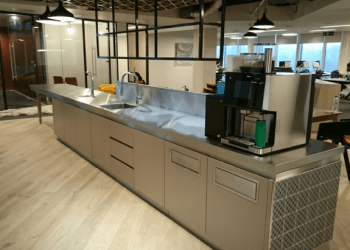 Not just limited to worktops and splashbacks, we supply stainless steel worktop protectors for units that have already been completed, a perfect solution for busy environments student or otherwise. Signage, corner protectors, kick plates and finger plates provide protection for high traffic areas and can be made to your specific sizes. We have supplied stainless steel magnetic noticeboards and have on some projects powder coated these in co-ordinating colours to keep the areas clutter free. Planning is key to ensuring the smooth running of a project, we are experienced in working with architects, designers, kitchen fitters, building trades and the client too; understanding the need for accurate communication offering practical advice on our products and timescales to ensure the best possible finish. 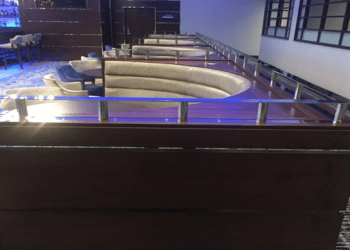 We can manage the whole process, from the initial quote or tender to procuring items like sinks and taps and managing the on-site templating and installation – all undertaken by ourselves. The experience we bring to the table is second to none, ensuring each element we have provided fits perfectly. Our employees are experienced in site safety environments and working practices, we are happy to undertake necessary site inductions as required and hold our own Public Liability Insurance. This experience of site work allows us to understand the need for method statements and risk assessment – both of which can be provided as required. If you have a tender or simply a drawing that you need costing, please get in touch where we will be happy to discuss your requirements.